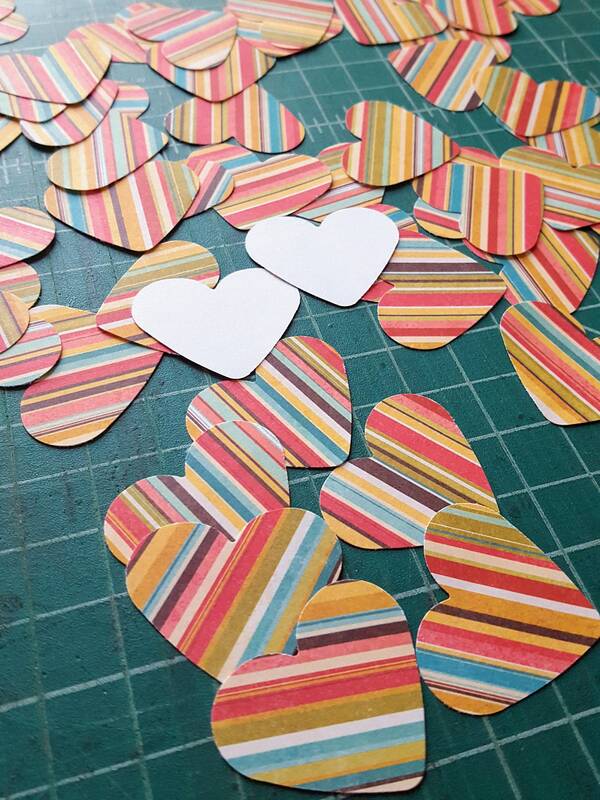 Add a handmade touch to your Valentine's cards and scrapbook pages! 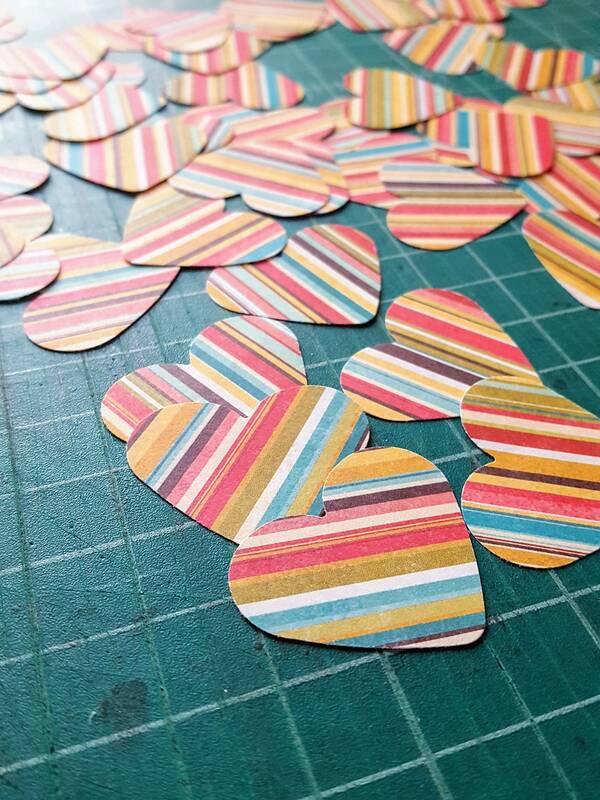 This listing is for 60 die-cut paper hearts, each measuring approximately 1.25 inches wide by 1 inch high. 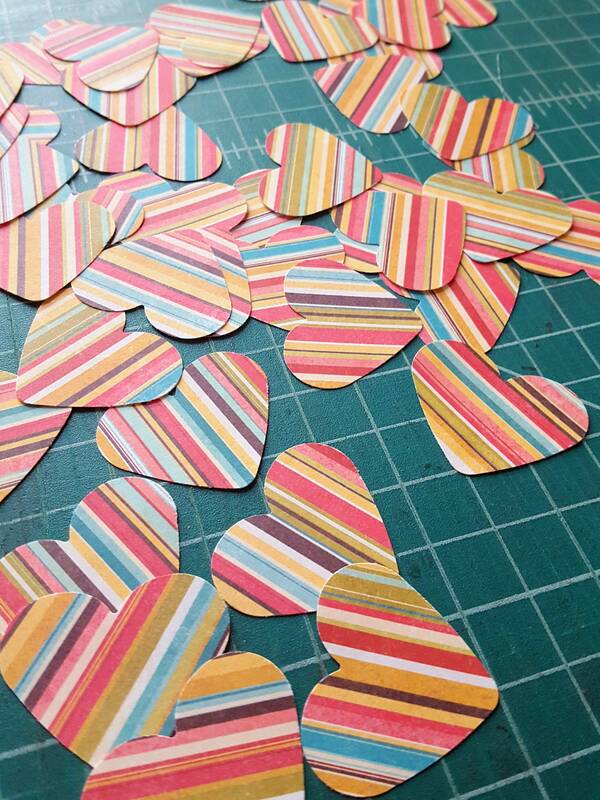 The hearts are cut from decorative rainbow striped paper. All hearts are patterned on one side only; the back is plain white (see third photo). These items are ready to ship.